It’s All Fun and Games…Until You Grow Up? When Did Exercise Become Something We Have To Do? I don’t know about you, but I used to love recess when I was younger. After sitting at a desk in school all day, I couldn’t wait to run around and play soccer, kickball, or even tag. Also, Field Day was definitely the best day of the entire year – a whole afternoon of obstacle courses and field games definitely beat being in class for hours. So when did moving around become something to dread? After sitting at work all day, why is that people aren’t more excited to go for a run, go to a spin class, play in a sports league, or do anything else that would be considered exercise? Or, dare I say it, fun? Last week, I was fortunate to go to the Nestle Nutrition Institute PowerBar Sport Nutrition Conference. 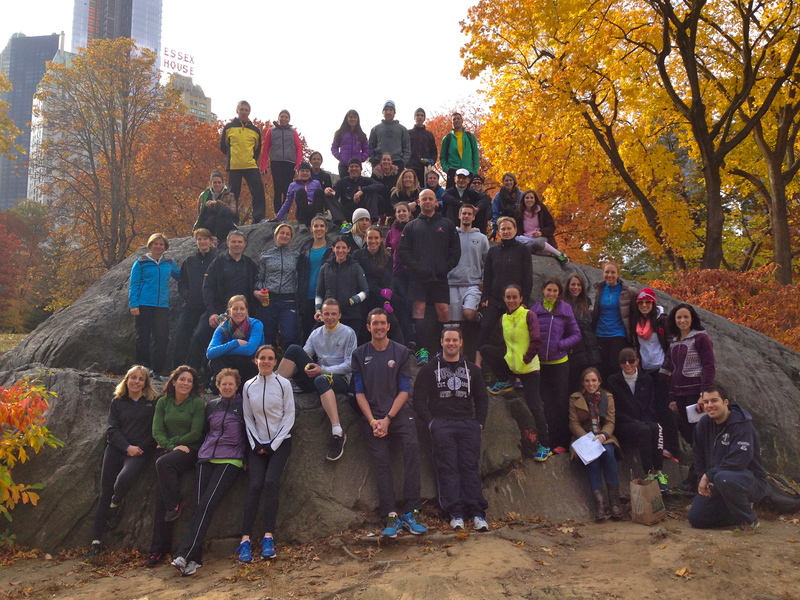 Just one day after the NYC marathon, I got to hear about all things “sport nutrition” with a focus on endurance training and performance. Also, I got to hear firsthand about research from some of the most respected researchers in the field, such as Louise Burke and John Hawley. Not to mention, some of America’s greatest athletes, including Josh Cox and Desiree Davila were there to share their training secrets. While the first day was all work, the second day included a substantial “recess”. 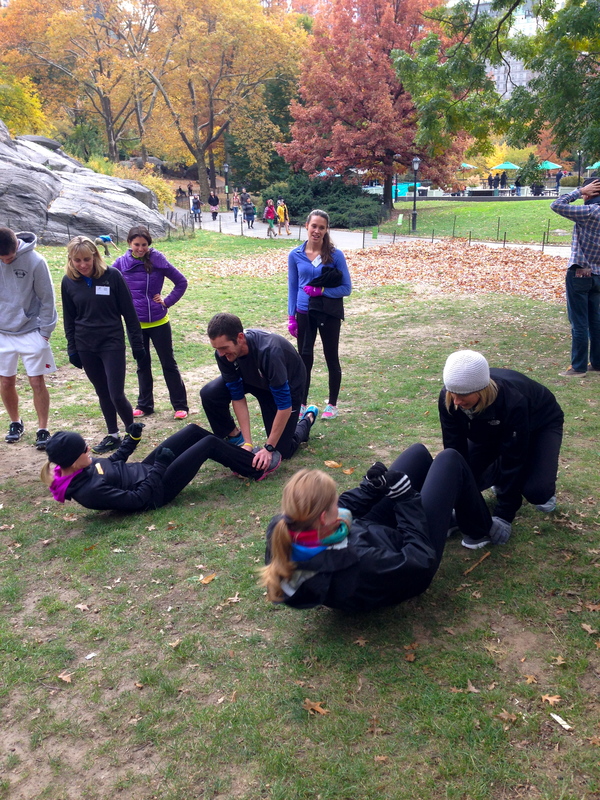 My graduate program volunteered to plan fun activities for everyone who wished to join in Central Park – many of whom had never been to New York City and were thrilled to be running around the grassy oasis. These men and women were dressed in workout clothes and ready to get down on their hands and knees – literally. Relay races consisting of wheelbarrow races, hula hooping, sprinting, push-ups and sit ups were just a few of the stations that we set up. Also, everyone resurrected their P.E. skills and got together for dodgeball. For a rest – and a healthy snack – different teams got to play NYC trivia and snack on apples (we called the activity “taking a bite out of the Big Apple”). 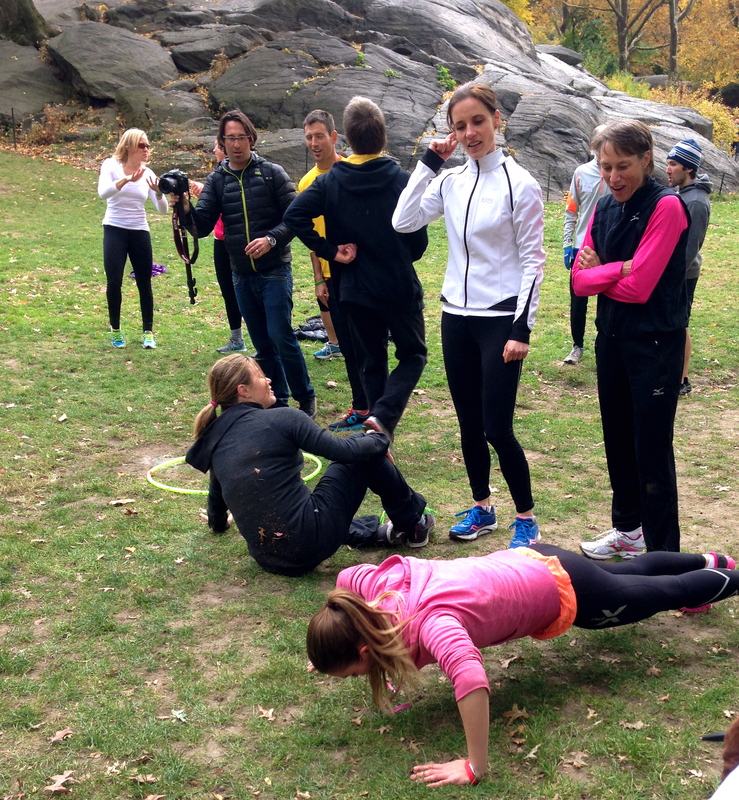 Basically, everyone felt like a kid again, because working out became fun again. I think we can all take a cue from these amazing athletes and researchers and channel our inner child – the one who used to have to move around in order to stay sane. the beginning of the relay – 10 push ups. Check out that form! Find an activity you genuinely enjoy. Running is a great workout, but if it’s not something you’re going to get excited about doing, chances are it won’t stick. And ultimately, the best exercise is the exercise that you will continue to do because you genuinely enjoy doing it. So, join a soccer league, grab some friends and play tennis, swim, bike, hit the gym, and most importantly, have fun! all of us after the friendly competition – all smiles! This dish is packed with protein and fiber, so you can feel full while loading up on some plant-based foods, like veggies, lentils and grains. Using zucchini, bell pepper, spinach, mushrooms, onions and garlic, this staple packs in flavor, along with a ton of vitamins and minerals. Also, this dish is amazing to have as leftovers – serve it hot the first time and then serve it cold days later with some crumbled feta cheese. 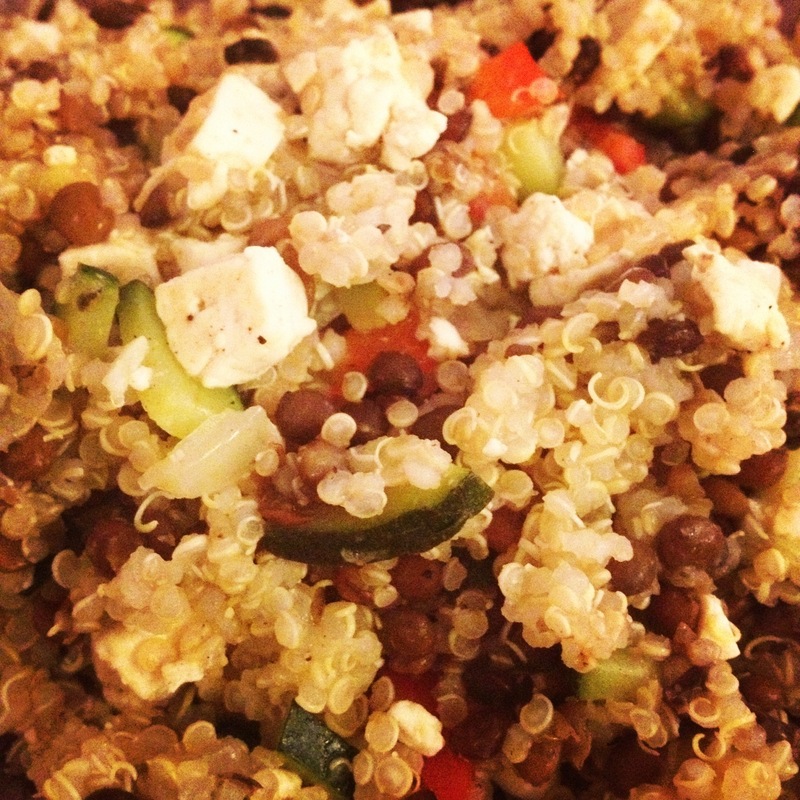 Craving some extra protein? 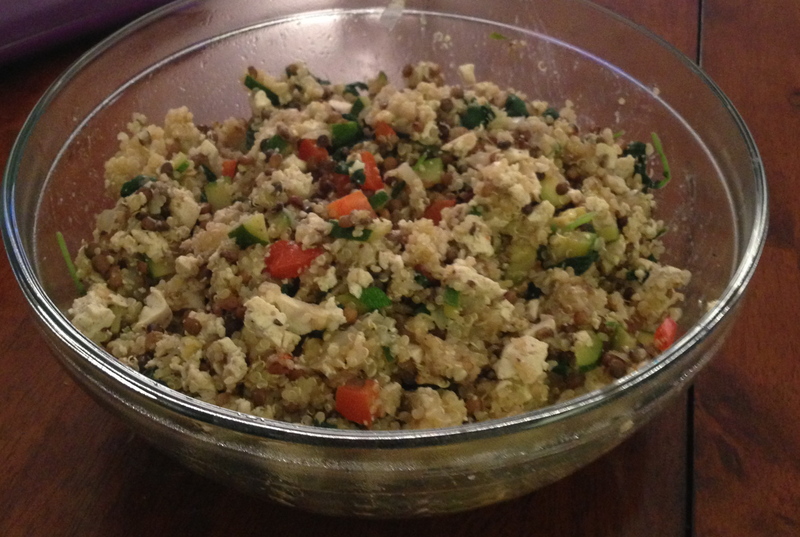 I’ve also made this dish using tofu in combination with the lentils, for a heartier meal. I added yellow squash this time! 2. Warm olive oil in large saucepan over medium heat. 3. Chop onion, bell pepper, mushrooms and mince garlic. Add onion to saucepan and cook for 2 minutes. 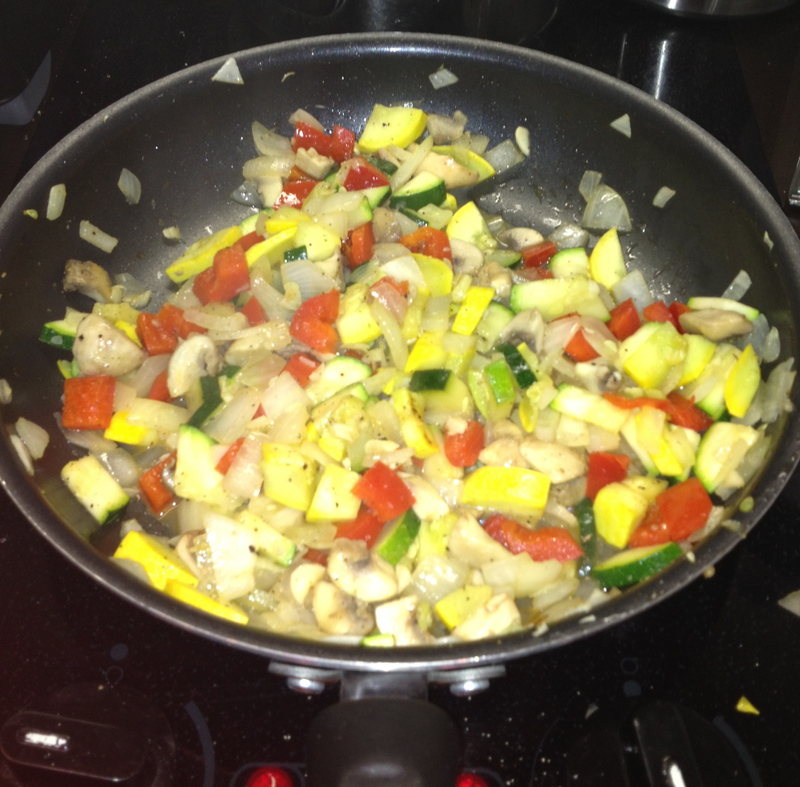 Add bell pepper, mushrooms and spices (black pepper, salt, cayenne and garlic powder) and cook another 8-10 minutes. Add garlic. 4. Microwave lentils in microwave-safe bowl according to directions -usually about 2-4 minutes. (*note if you are soaking your own lentils you can omit this step). 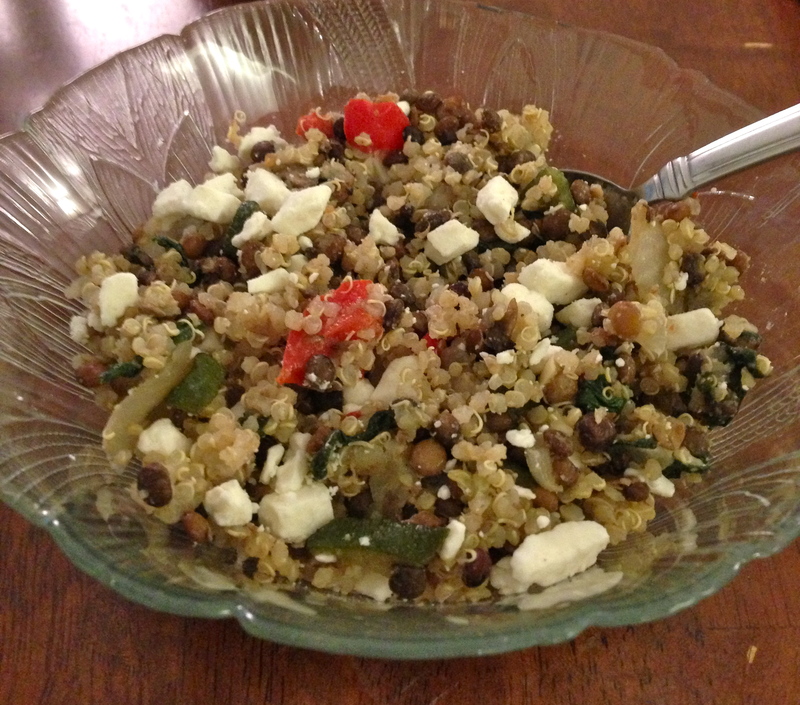 my leftover lunch – served cold with feta!